This is a review of the Lifesmart Rock Solid Luna Spa. While some hot tubs need extra installations from professionals for things like electrical outlets and plumbing, that’s not the case with the Luna spa. Once you have to spa at your home, set it up in the perfect location, fill it with water, and plug in the heater. The setup for this spa is so very easy. The Lifesmart Rock Solid Luna Spa has all the features you’d expect with a more expensive hot tub. It has a Rock Solid Shell, which is an indestructible shell that’s made exclusively for the Lifesmart brand of spas. 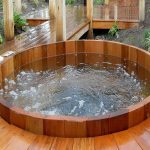 With the plug-and-play nature of the hot tub, you will spend less money for the hot tub. There shouldn’t be any extra installation costs like electrical or plumbing, though, you will have to place the spa on a reinforced pad. The Luna spa is a high-efficiency hot tub that doesn’t require as much energy as other spas. It’ll be a relief to your energy bill when you don’t have to worry about the high cost of electricity. One more thing you don’t have to worry about while you’re relaxing in the spa. While other spas might boast seating for more than three people, when you look at the spa, you might wonder where people will put their feet. With this spa, each person can extend their legs and enjoy the jets on the other side of the spa. 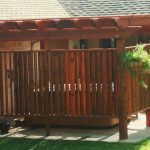 The hot tub measures 70 x 29 x 66 inches. That’s plenty of space for everyone to have their own section of the spa if that’s what you want. All of the Lifesmart spas have LED lights and a sturdy shell. This spa comes with a cover to ensure that you don’t have to warm up the spa’s water each time you want to loosen up in the hot tub. The sturdy shell is the trademarked Rock Solid Shell that the company boasts will stand up to any kind of weather. The Luna Spa has jets that rotate independently from the others. You’ll be able to direct the jets exactly where you need them. There are jets for the back as well as jets in the footwell of the spa. When you stretch out in the hot tub to unwind at the end of a long day, you’ll be able to massage your back as well as your feet. For those who stand at work, you will wonder how you survived without the hot tub. When you’re sitting in the spa, you’ll want to adjust the feel of the jets on your back and feet. There will be days that you’ll want the highest amount of pressure. Other days, you want a lazy kind of gentle massage that doesn’t involve deep tissue massage. With the comfort valve, you can adjust the amount of water or air to accommodate your specific needs in that moment. You won’t always want the water pelting your body when you want to relax and have a zen moment in your spa oasis. The Lifesmart company stands behind the shell of their hot tub spas. When you place the spa outside, you don’t want to have to move it when the cold weather hits. It needs to be insulated and able to stand up to changes in the weather. That’s the case with this trademarked shell from Lifesmart. They claim that the shell is nearly indestructible, which is attested to by many of its current customers. What’s the shipping weight of the hot tub? The hot tub might come in more than one box to distribute the weight, but in total, it’s 255 pounds. Can the spa’s water reach over 104 degrees F? While the manual says you can only set the temp to 104, you can cover the spa while using the auto shut off at 116 degrees. 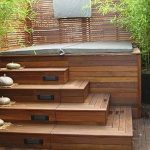 Are there steps included with this spa? You’ll need to purchase steps separately. Some customers didn’t have a problem entering and exiting the spa, but all you need is a small step to climb into the hot tub. The Lifesmart Rock Solid Luna Spa is a plug-and-play hot tub that doesn’t require extra installation of electrical outlets or plumbing. This makes it more portable than other spas, so you can take it with you when moving. The company provides a warranty for their spa, which means they stand behind its construction.